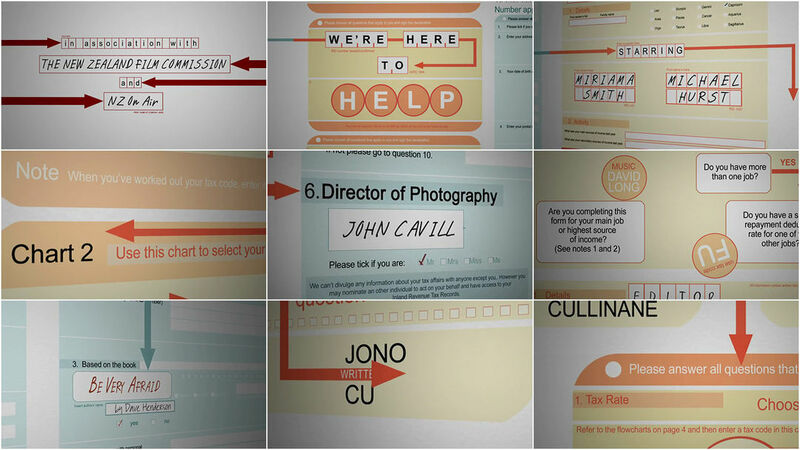 Inspired by the true story of a New Zealand businessman battling the Inland Revenue Department, filmmaker Jonothan Cullinane optioned the book and made the film (see his blog "How to Direct a Film"). The story covers a five year period and we wanted some sort of transitioning effect to indicate the passage of time. A very clever friend of mine, Anthony Farac, came up with a graphic device that was so good we thought it was wasted as a transition but would work really well as a title sequence. Originally we planned to do the titles with type over picture because we had little money - the film's budget was just over 2 million (NZ$). Ant came up with a way to do the sequence that established the topic and the tone of the film very clearly for the princely sum of $7000.